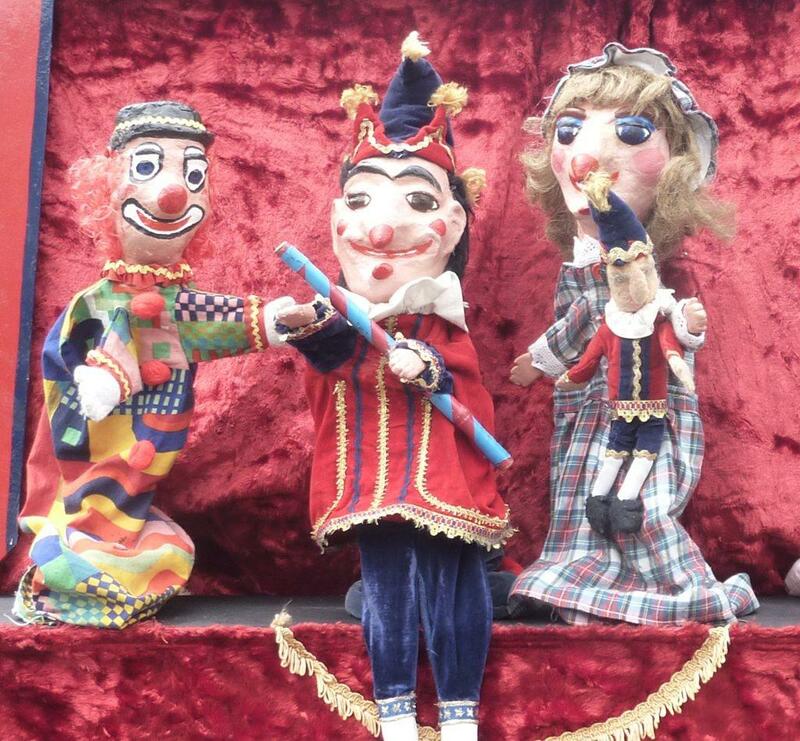 This Punch & Judy show has a strong narrative element and combines all the best traditional bits of the story (crocodile, sausages, knockabout fun etc.) but without the inappropriate non-pc elements. We are very aware of considerations concerning show content. This show is great for corporate family fun days and private parties. 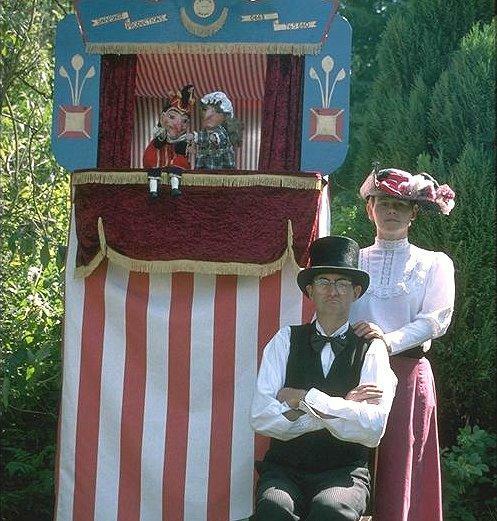 Usually performed in their bright outfits, and with a beautifully decorated red and white striped canvas booth, it can also be presented in Victorian costume to fit historical themes and occasions. Unusually presented as a two-hander, Chris is the puppeteer and Michael acts as a link/front man gently guiding the audience and building up the atmosphere. 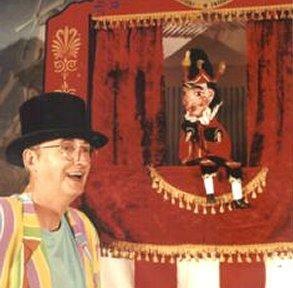 This way, the show is able to respond to both the whole audience and the individual creating a unique show at every performance. 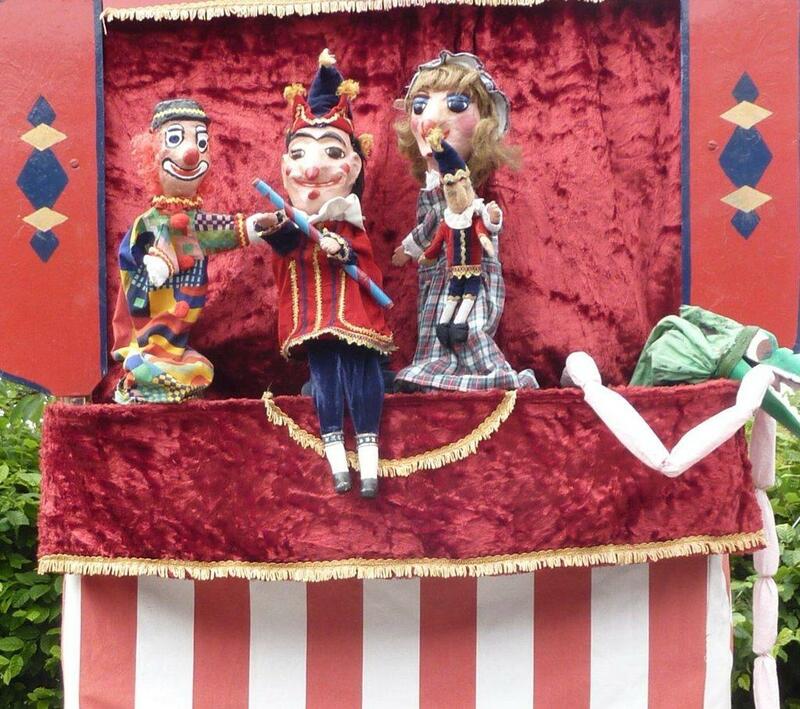 Many people say that it’s the best Punch & Judy they’ve ever seen. 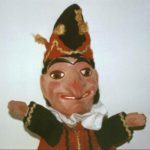 Their puppets are all hand-crafted by Chris. The show is available on its own or with their other children and family shows. The show lasts for 25 minutes.